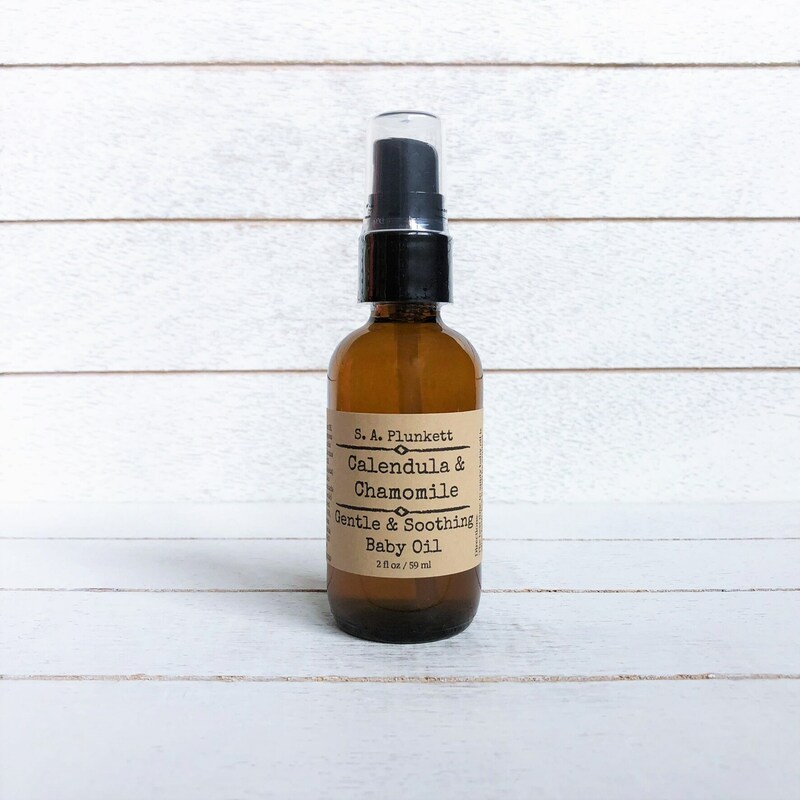 This all-natural, soothing body and massage oil is created with baby's sensitive skin in mind but is perfect for all skin types in need of gentle, nourishing care and moisture. Formulated with vitamin and antioxidant rich oils and botanicals, this oil will help your skin feel and look soft, smooth, and hydrated. 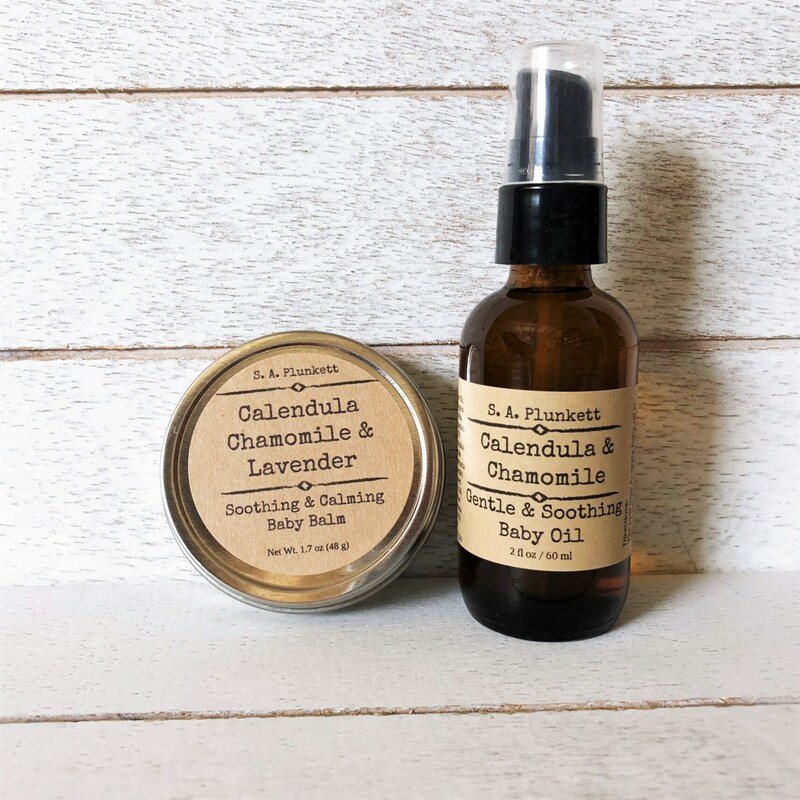 Herbal infusions of chamomile and calendula help to soothe irritated skin conditions while a light touch of pure chamomile and lavender essential oils enhance the skin soothing benefits while adding a gentle, calming fragrance. 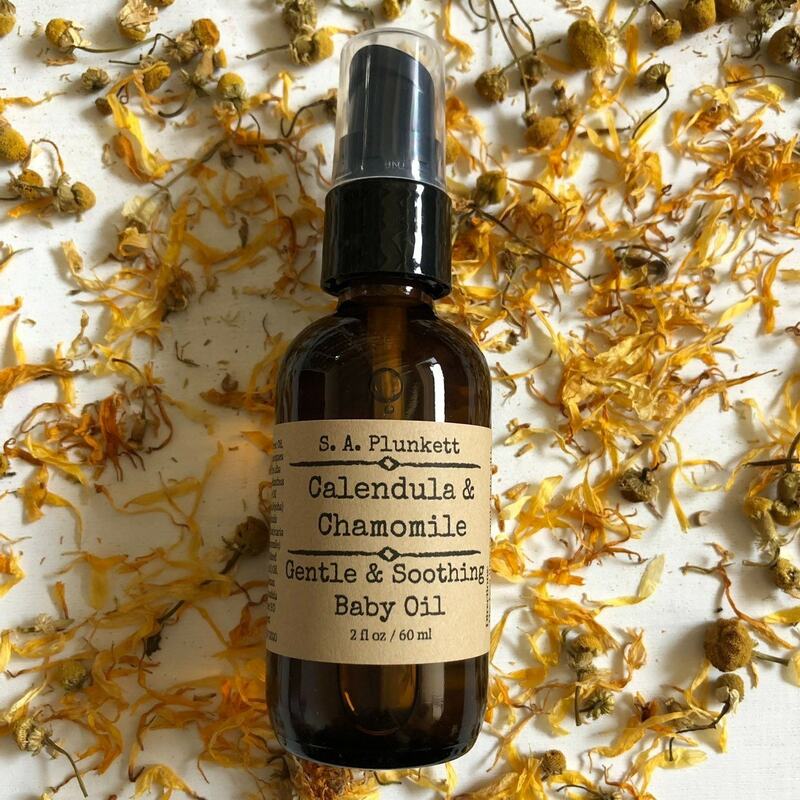 Suggested uses include, use as a calming baby massage oil, makeup remover, skin moisturizer, bath oil, nourishing belly oil, moisturizing body oil, or moisturizing hair treatment. 2 fl oz glass bottle with pump. Organic Sunflower Oil - - Deeply nourishing and conditioning, helps to maintain and enhance skin barrier. Organic Jojoba Oil - Balancing, soothing and softening. The best time to apply a baby Oil is just after a bath or shower to lock in moisture and sooth dry and irritated skin conditions, it can be used any time though, and as often as needed. A little goes a long way! Start with one or two pumps and gently smooth in to clean skin as needed. 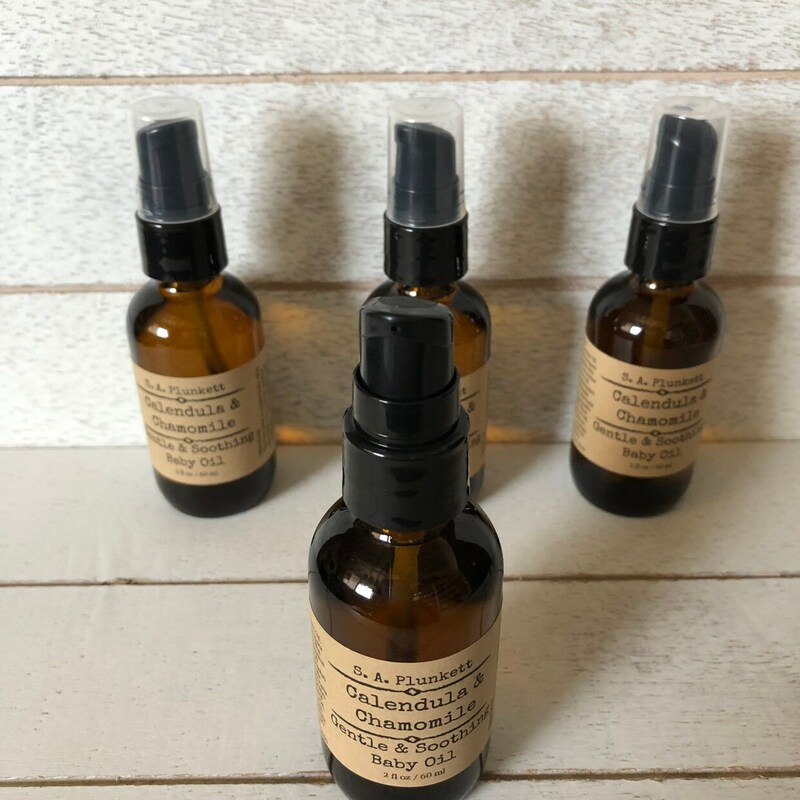 S. A. Plunkett Natural products are all Paraben Free, Sulfate Fee, Petroleum Free, Phthalate Free, Free of Synthetic Fragrances, Free of Synthetic Dyes, and are never tested on animals.